Reports of the death of buy-to-let may be premature, but there’s no hiding the fact that it’s a complicated time to be a landlord. And as we settle in to a new year, property investors across the country are sure to be deliberating over whether it’s better to buy, sell or refinance their portfolios in 2019. We’re here to help, with the answers to six big questions facing landlords this year, and advice on whether property investment can still be a profitable exercise. If you’re weighing up your buy-to-let mortgage options, you can get impartial, expert advice by calling Which? Mortgage Advisers on 0800 197 8461. Is now a good time to remortgage my buy-to-let properties? It could be a big year for buy-to-let remortgaging, as landlords decide to stick rather than twist and lenders tempt them with good rates and incentives. At the start of this month, the average rate on a buy-to-let fixed-rate mortgage was 3.3% – up 0.08% year-on-year (according to data from Moneyfacts). This follows a stable year for mortgage rates, where five-year fixes dropped in cost and hit historic lows in the Autumn. And the January sales have now started – with Metro Bank, Leeds Building Society and Clydesdale Bank waking from their festive slumbers this week to cut rates on buy-to-let fixes. If you’re thinking of remortgaging this year, the growing prominence of fee-free and cashback deals could also offer you a boost – earlier this week Leeds doubled the cashback on some of its products from £500 to £1,000. David Blake of Which? Mortgage Advisers believes that with more lenders coming on to the market and banks offering greater flexibility when assessing incomes, it could be a good year to remortgage. Will things improve for portfolio landlords? There’s no hiding the fact that landlords with four or more mortgage properties (‘portfolio’ landlords) have borne the brunt of reforms in the last couple of years, with changes to lending rules making it difficult to get extra finance. There are signs that things could be getting better, however. Before Christmas, Tipton & Coseley amended its affordability criteria to make it easier for investors to get a loan, and just this week Paragon launched new products specifically designed for portfolio landlords. This trend could provide some respite to portfolio landlords considering selling off some of their investment properties. One such landlord, Nicola Bates, told Which? : ‘I am close to exchanging on a sale, which will leave me with three investment properties, all on long-term lets. It’s now easier to remortgage with three properties rather than four, and I have decided to reduce my portfolio because of the government’s attack on buy-to-let landlords’. Can I rely on good rental yields in 2019? With the property market stalling amid economic uncertainty, significant capital growth might seem like a distant memory for many landlords, but there are indications that savvy investors can still enjoy good rental yields. The latest index from LSL was released earlier this week and showed that landlords in the North of England are currently enjoying the highest yields, with average yields of 5% in the North East and 4.8% in the North West. More so than ever, planning is everything when it comes to choosing an investment property, with profit margins more squeezed than before. if you’re thinking of expanding your portfolio in 2019, weigh up your options, do your research and remember that there’s no such thing as a ‘guaranteed’ yield. Will mortgage interest tax relief cut my profits? By now, many landlords will be sick of hearing about cuts to mortgage interest tax relief, which will continue to erode profits over the next few years. Landlords filling out their tax returns for 2017/18 before the deadline this month are now only able to deduct 75% of their mortgage interest, a figure that will reduce by 25% in the following three tax years, before it’s replaced by a flat 20% credit. And investors with mortgaged portfolios are feeling the squeeze. Gary Williams, a landlord with five properties, told us: ‘Changes to mortgage interest tax relief mean my tax bill for the 2017/18 year is around £1,200 more than last year. I expect this figure to rise to well over £5,000 when the rules are fully implemented’. Do I need to worry about HMO regulations? Previously, you only needed a HMO (house in multiple occupation) licence if you were letting a property three storeys or higher, but in October the rules changed, bring all properties let to five or more people from more than one family under HMO licensing rules. How much a HMO licence will cost you – and the hoops you’ll need to jump through to get one – varies from area to area. Glenn Richards, a landlord with two buy-to-let properties, told us that these licensing changes had already hit him in the pocket. He says: ‘I let a student property with six bedrooms spread across two storeys. This means that under the new rules brought in last October, it now requires a HMO licence. Is now the time to invest in property or expand my portfolio? If you’re considering investing in property in 2019, you’ll need to weigh up the pros – such as a greater range of mortgage options – with the cons – such as tax changes – before making a decision. The investors we spoke to earlier this week told us they’re unlikely to expand their portfolios this year, with some considering remortgaging and others planning their exit strategies. Sentiment about whether buy-to-let is worthwhile in 2019 tended to vary on whether the landlord in question had outstanding mortgages on their investment properties – and thus needed to worry about mortgage interest tax relief. George Smith, an experienced investor with two unmortgaged investment properties, told Which? he has no intention of expanding or cutting down his portfolio this year. He offers the following advice to first-time investors: ‘If I was new to the market in the current conditions, investing in buy-to-let would not be such a simple and easy to justify decision. ‘It’s important to remember that buy-to-let is a service industry – your tenants are not there to make you money, you are there to provide a rental service to your tenants’. As well as mortgage interest tax relief continuing to erode profits, the upcoming ban on letting agents charging fees to tenants could also have an effect on profits. The new rules, which are likely to come into force later this year, will involve up-front deposits being capped at five weeks’ rent and landlords and managing agencies being banned from charging tenants for common costs such as referencing and inventories. 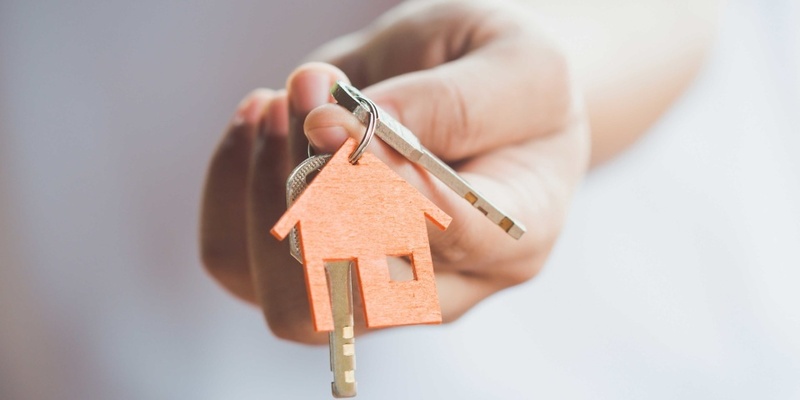 You can learn more about the tenant fees ban and other key developments for landlords in our article on 16 things buy-to-let landlords need to know in 2019. If you’re thinking of expanding or refinancing your portfolio this year, it can be helpful to get impartial, expert advice from a whole-of-market mortgage broker. Note: The names of the landlords quoted in this article have been changed to protect their identities. This story was update at 09:25am on 14 January 2019.